Switzerland was founded in 1291 when three Alpine cantons signed the Federal Charter of 1291. 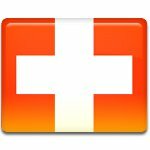 They swore the oath of confederation, and the event later became regarded as the birthday of Switzerland. The Federal Charter was not issued exactly on August 1, and it's only said that the event took place at the begging of August. There are different events that feature the holiday. Bonfires, fireworks and picnics are common for the day. National Day also boasts different traditions, that attract the Swiss and tourist. The most spectacular tradition is illuminating a 25-meter high the Rhine Fall. The waterfall has been regularly lit since the 1920s on special events. And since 1966 the waterfall is illuminated on National Day only. Another tradition, that becomes very popular, is farmer's brunch. Many Swiss like to start their day with a hearty and organic brunch at local farm. This tradition is very old, but it's revived recently. Pies, fresh cider, smokes sausage, eggs, crispy Röschti (similar to hash brown), the whole range of fresh breads and cereals will treat your tastebuds.